The Rebel Sweetheart. : Seoul Searching | Changdeokgung Palace. 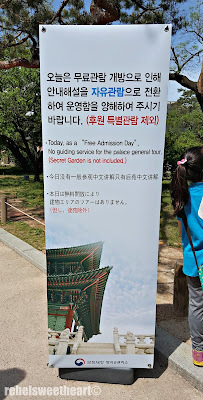 Holidays in South Korea are usually very festive, as most tourist attractions come up with fun and interesting events to celebrate the occasion, or offer special discounts for both tourists and locals alike, If you're lucky, you might come across 'Free Admission' promos, such as the one that the four traditional palaces offered during the long weekend (May 5-8). I wouldn't pass up on this great opportunity, so Yue and I trooped to Changdeokgung Palace last Saturday - along with about a thousand or more eager beavers (ergo, tourists). If you see this sign, then you have walked to the right place. 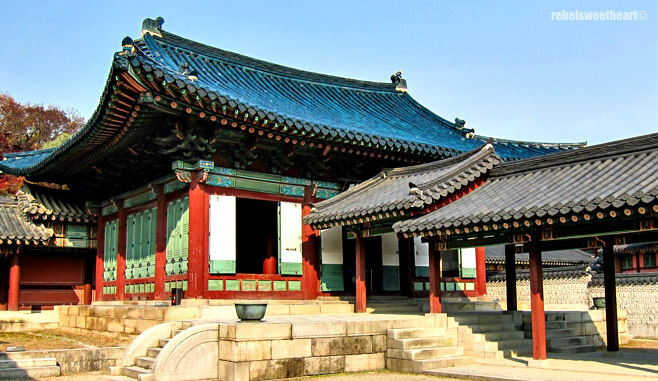 Like the other palaces in Seoul, Changdeokgung Palace was also burnt down during the Japanese invasion in 1592. It was rebuilt about 18 years later, and since then, it has become the primary palace until the late 1800s. Secret Garden not included, though. 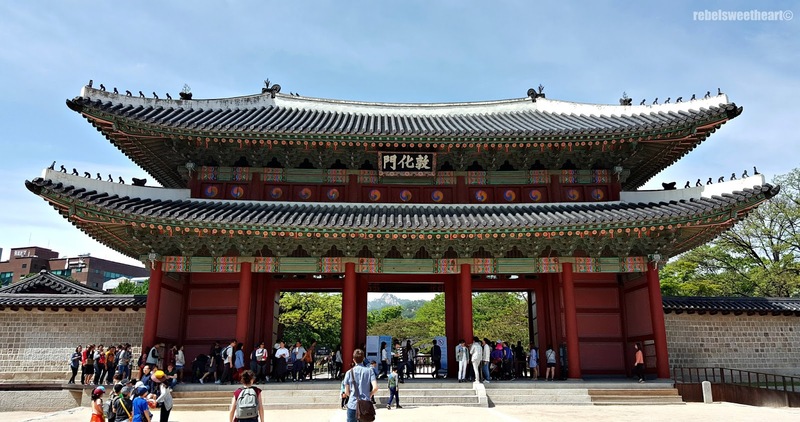 Behold the beauty of Changdeokgung Palace! More photos after the jump! The entire Changdeokgung compound covers about 110 acres of land, with 13 buildings on the palace grounds and 28 pavilions in the garden. 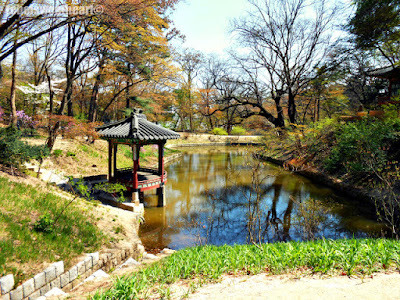 The rear garden, also known as Huwon, occupies 78 acres, or at least two-thirds of the entire palace grounds. Its main gate, the Donhwamun Gate, is a two-story pavilion-type wooden structure and the largest among all the palace gates. 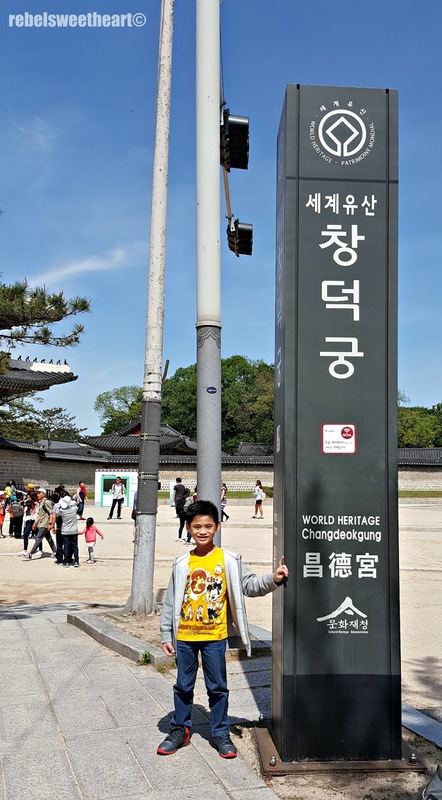 At present, it is heralded as one of Korea's national treasures. 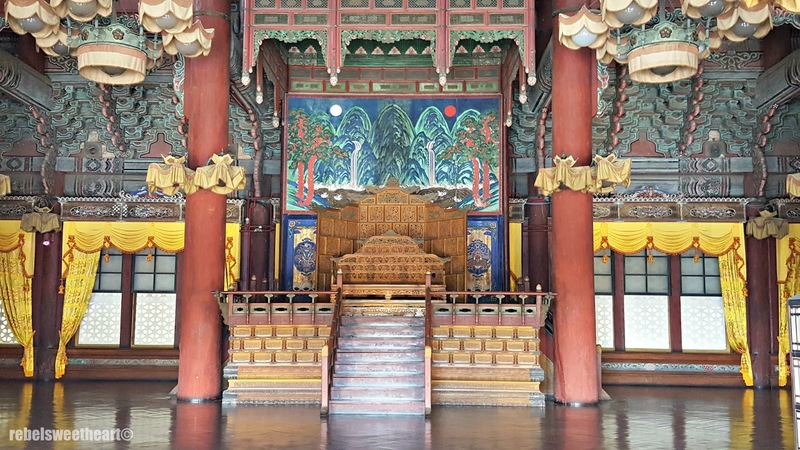 Inside the palace are key governmental areas, the center of which is Injeongjeon or the throne hall. Major state affairs, such as the coronation of a new king and reception of foreign envoys, were held here. From the outside, the throne hall looks like a two-story building. But take a closer look inside and you will see that it is just a single space, with a high, beautifully-adorned ceiling. 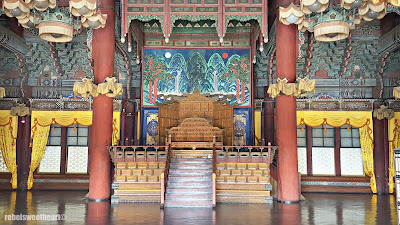 The throne, and the intricate design of the ceiling. To the east of the throne hall stands Seonjeongjeon Hall, which serves as the king's office. Here, official assemblies such as meetings with the ministers, state seminars, and reports on state affairs are held. Located nearby is the Huijeongdang Hall, which serves as the king's bedchamber. This building, however, is a reconstruction that looks totally different from the original. 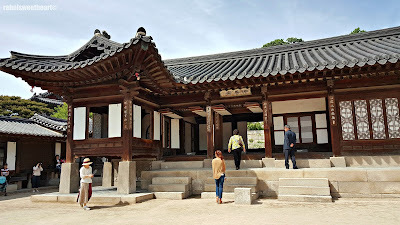 The Huijeongdang Hall that was destroyed by fire in 1917 was a more elegant structure with a raised floor set on stone columns, and had a pond in the courtyard. The hall that we see today is outfitted with western features such as wooden floorboards and carpets, glass windows, and chandeliers. Also a reconstruction of the original is the Daejojeon Hall, the Queen's residence. 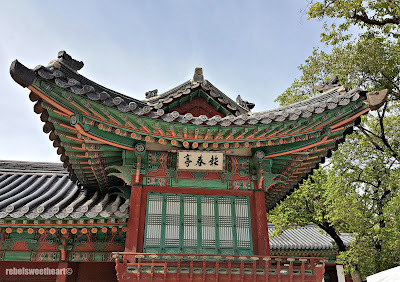 With the exclusion of the Secret Garden, one of the more interesting structures in Changdeokgung Palace is the Nakseonjae Complex. This area was constructed upon the order of King Heonjong for his concubine Gyeong, whom he took in because the Queen could not bear a child. 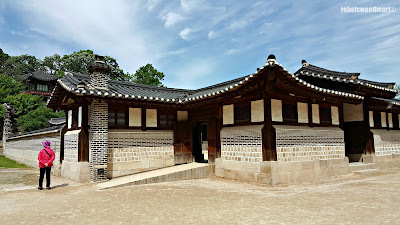 One of the rooms at Nakseonjae Complex. 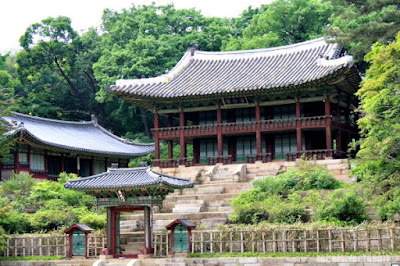 The main building at Nakseonjae. The walls surrounding the complex. The crown prince also has his own residence, known as the Junghuidang. 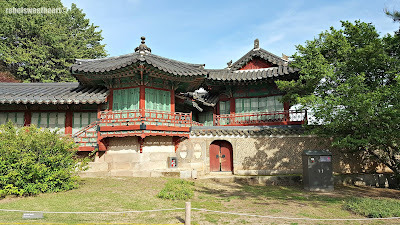 This building used to be part of Seongjonggak Hall, but was eventually removed in 1891. The only original buildings that remain today are Samsamwa - the hexagonal pavilion, Chilbunseo, and Seunghwaru. 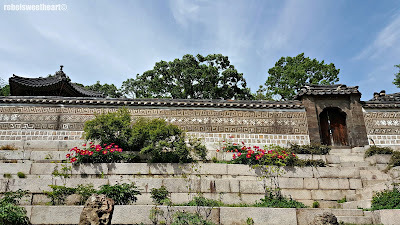 These structures were once connected by corridors, and served as the crown prince's study. This hall later became the royal hospital during the Japanese occupation. 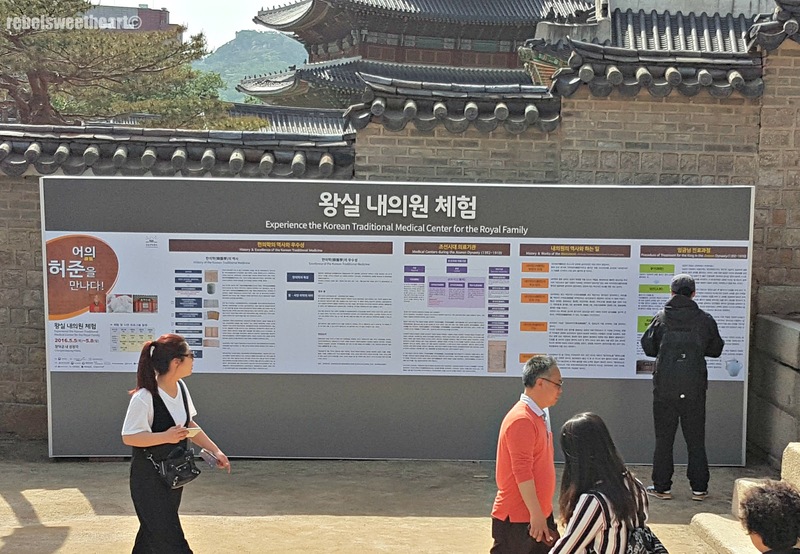 During our visit, an event called Naeuiwon Royal Pharmacy Experience was being held at Seongjonggak Hall. Visitors were given the chance to experience medical services of the Royal Joseon Court. 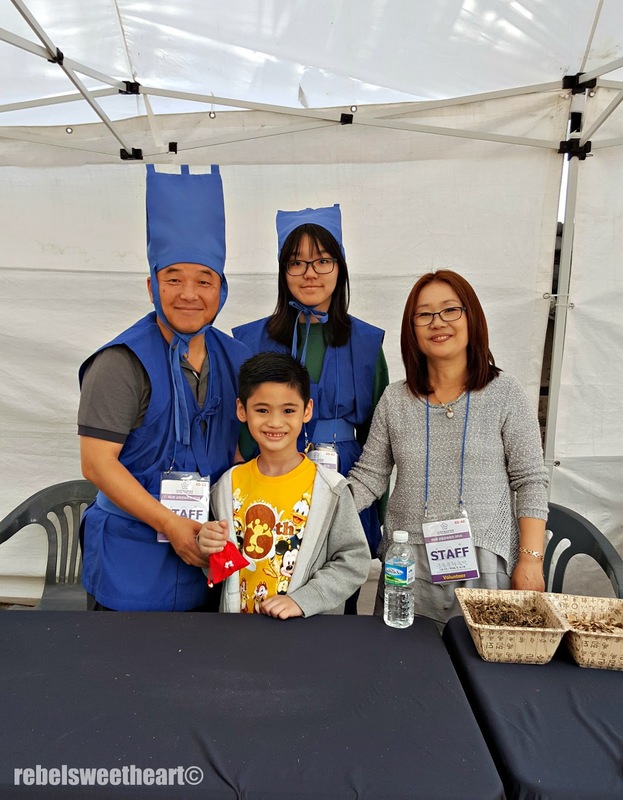 Medical practitioners were even dressed in traditional physician costumes, which made the event even more interesting.I would have gladly joined the throng of 'patients', but my Hangul skills may not be enough for medical terms, haha. 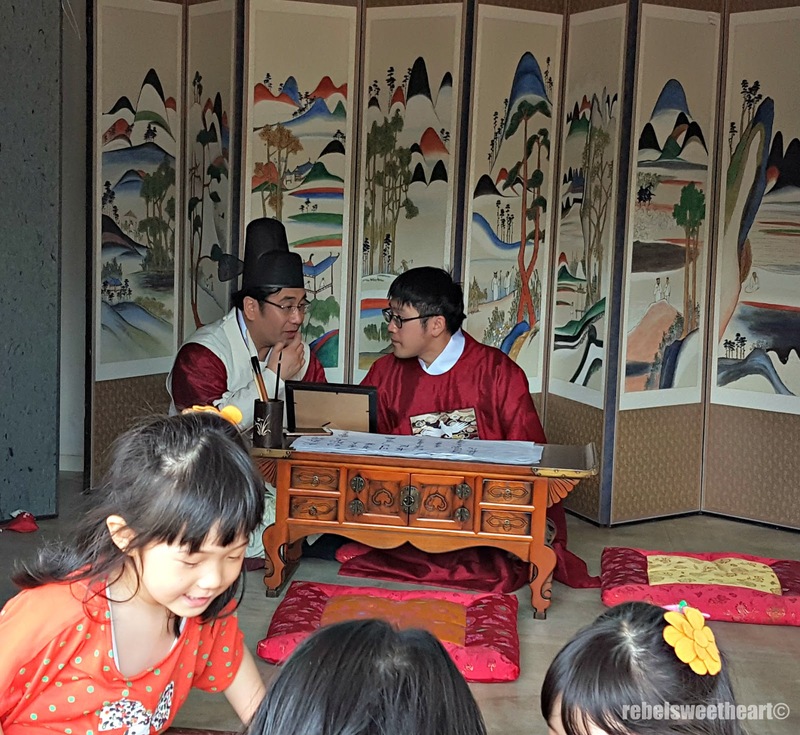 Medical check-ups, the Joseon way. I joined this group instead. 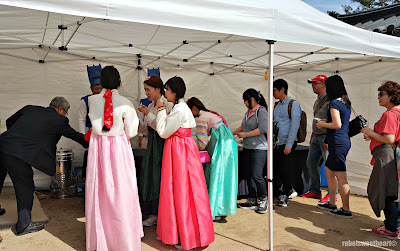 They were lining up to get a taste of apricot tea, which they say is good for indigestion, constipation, fever, and anemia. I had none of the ailments mentioned above, but I was curious as to how apricot tastes like so I lined up anyway. Lining up for medicinal tea. Yue, on the other hand, was drawn to the scent of herbs emanating from the table nearby. Medicinal herbs have long been part of Korean culture, and a variety of them were on display for visitors to smell, touch, and feel during the event. The pharmacist was so enamored by my friendly little boy (he can speak/understand simple Korean greetings like 'annyeonghaseyo', 'jaljinaeseyo', and such) that he gave him a pouch filled with herbal medicines as souvenir. 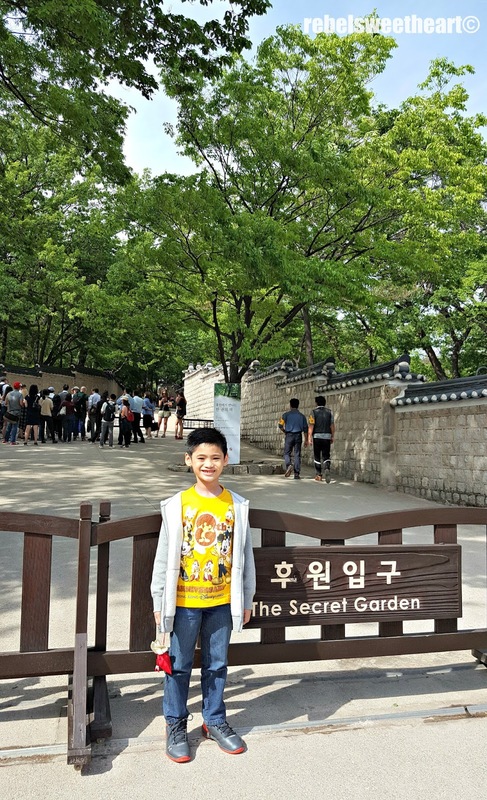 Finally, the Secret Garden - the secluded rear garden of the palace which served as a resting place for the members of the Royal Family. Unraveling the secrets of The Secret Garden. 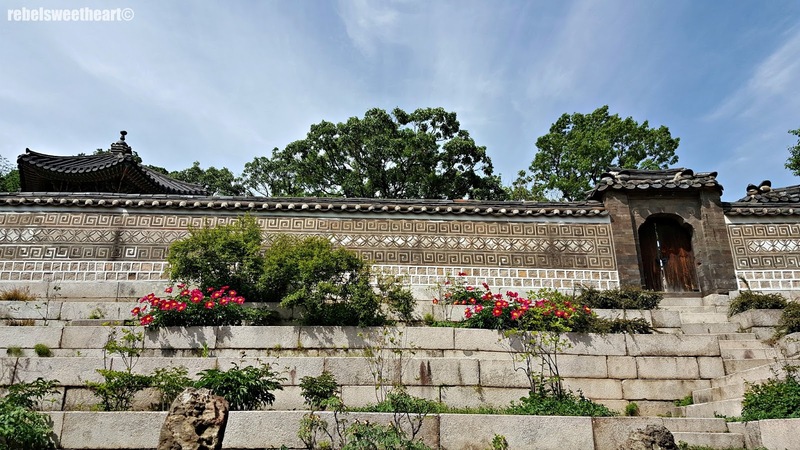 The highlight of Changdeokgung Palace, the Secret Garden is a sight to behold with its lotus pond, lovely pavilions, and landscaped lawns. The garden is home to probably a hundred different species of trees, some of which are over 300 years old. 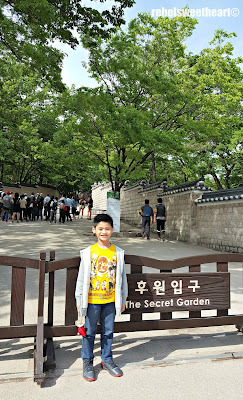 I certainly do not regret paying extra (5000 won for me, and 2500 won for Yue) for this Secret Garden Tour! Definitely one of the most beautiful scenery that I have laid my eyes on. 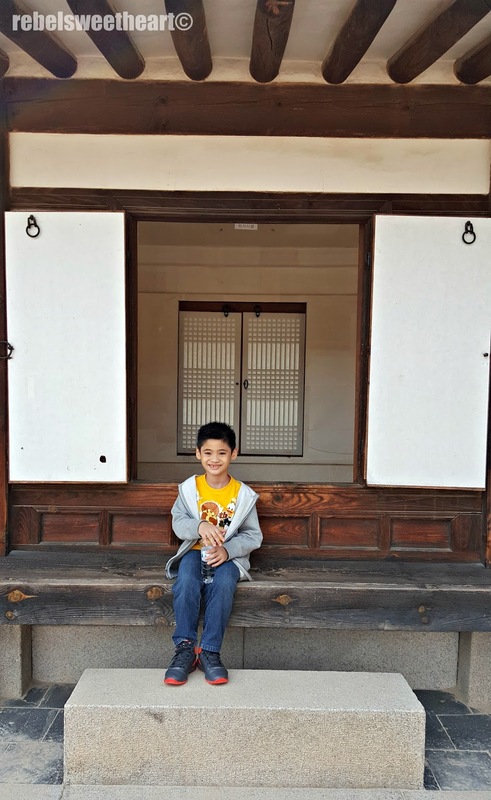 Even my son, who had been very impatient during our tour of Gyeongbokgung Palace last winter, enjoyed the long walk around the garden. 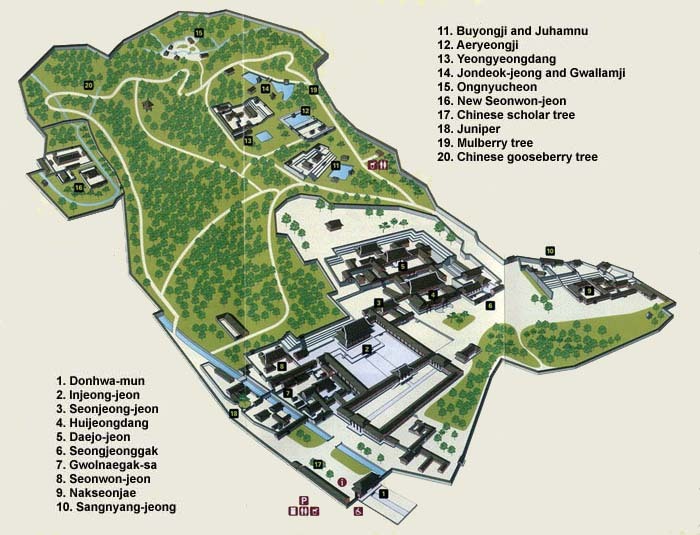 To get to Changdeokgung Palace, take the subway to Anguk Station (Seoul Subway Line 3) Exit 3. 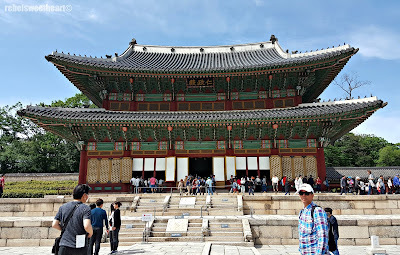 From the exit, walk straight towards the east for about 5 minutes until you get to the palace entrance. Thank you for the tour of this amazing palace! I lived in Japan for 3 years, but never made it over to Korea. It looks like lots of fun! 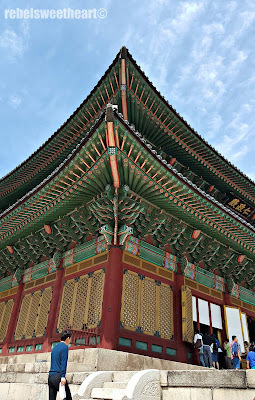 I am not familiar with Koreanovelas, but I know that there are dramas that feature their palaces. Is this one included? Because it's well taken care of and it's beautiful as well! 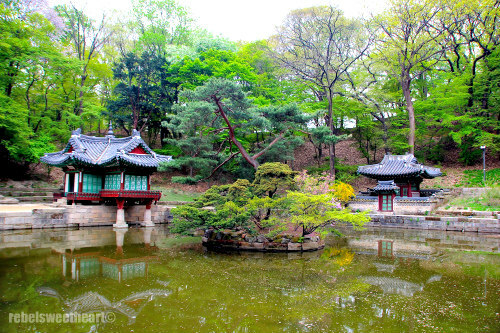 If someday, I find myself in Korea, I will definitely tour their palaces. 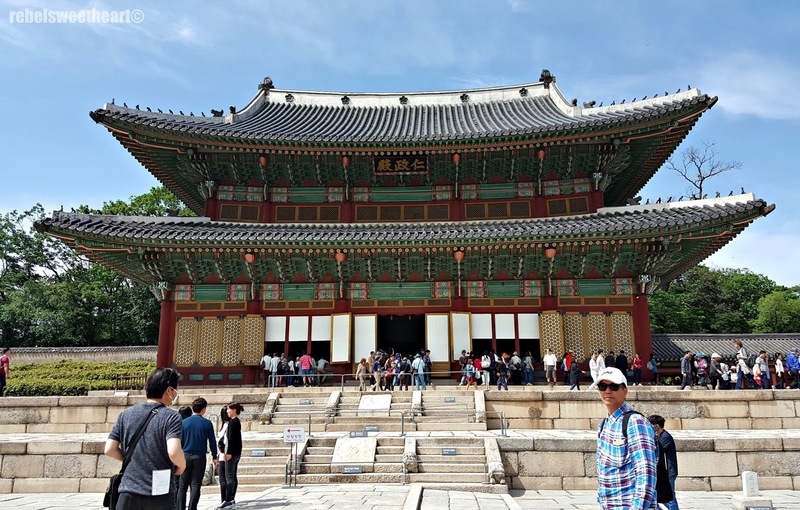 It looks like you had a wonderful time at the Changdeokgung Palace. What an interesting place indeed. The Secret Garden would be worth the extra fee to see for sure. 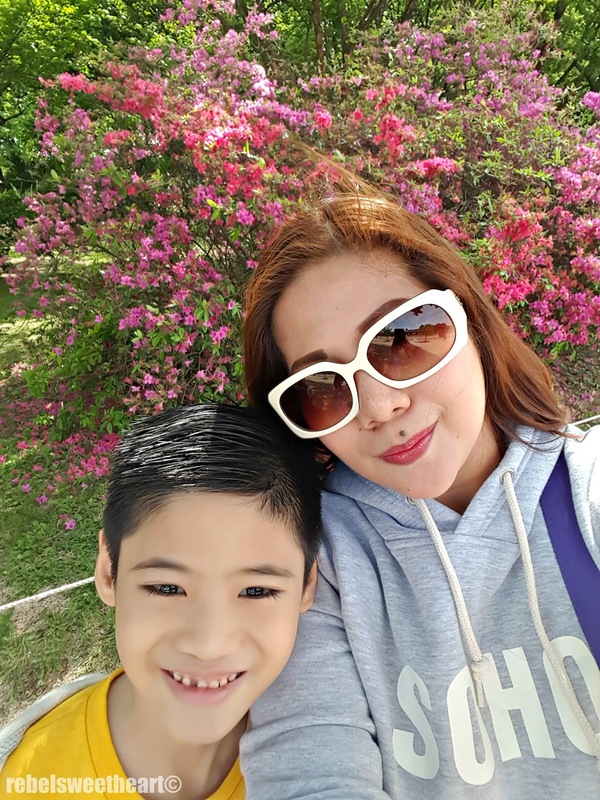 Thanks for sharing your experiences and gorgeous photos. 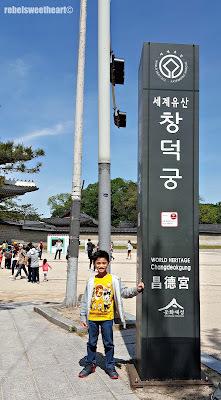 I've always loved Korea, and I'm not disappointed to see their lovely sights and traditions here. I prefer them for being in the middle of everything I love about Asian culture and style. Okay, that place looks amazing! I would LOVE to have a 78-acre garden! WOW!!! What a beatiful place, I'm sure you had fun adventure with your family. Those pics re really awesome. 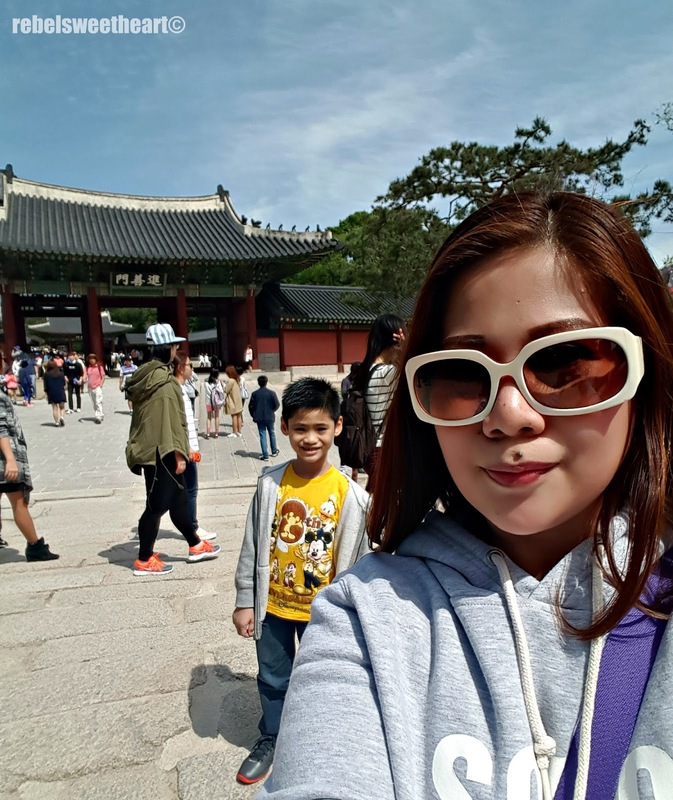 I always wanted to visit Asian countries with my husband & I love how beautiful South Korea is. The pictures are amazing & I am in love with that beautiful palace with some wonderful ancient architecture at its best.